A classic fit, cotton jersey knit top. 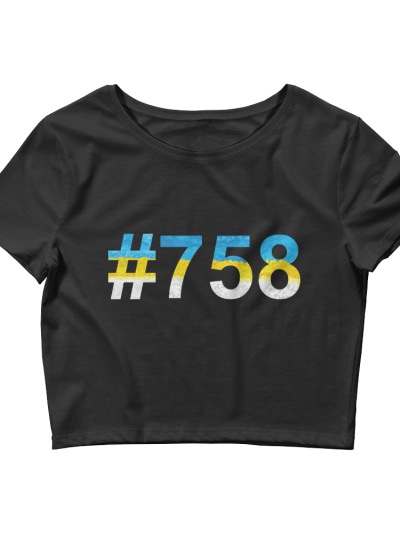 It’s quarter-turned, meaning that it eliminates the center crease. 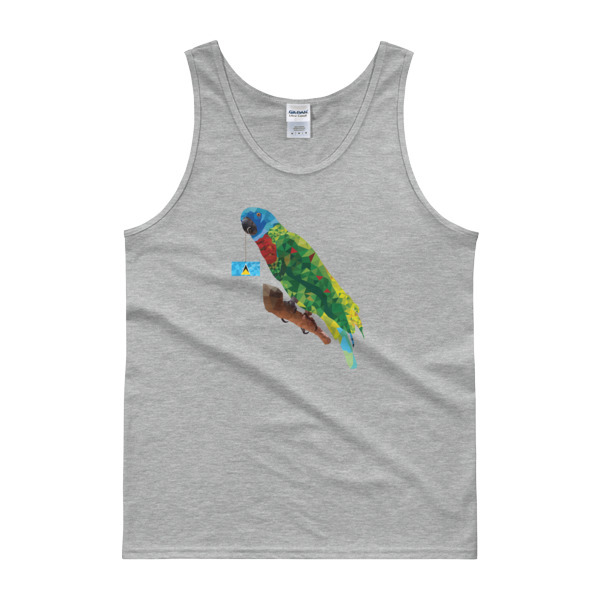 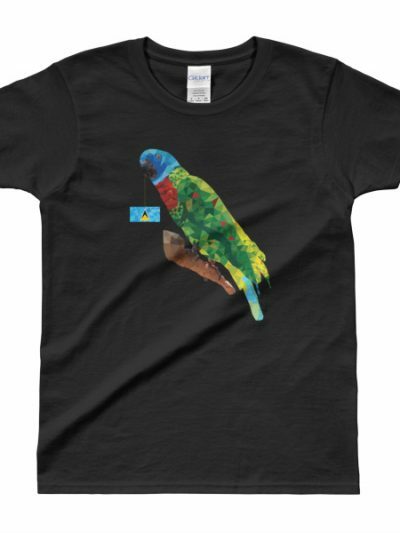 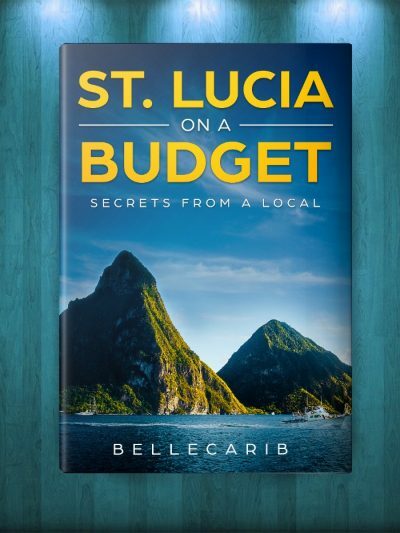 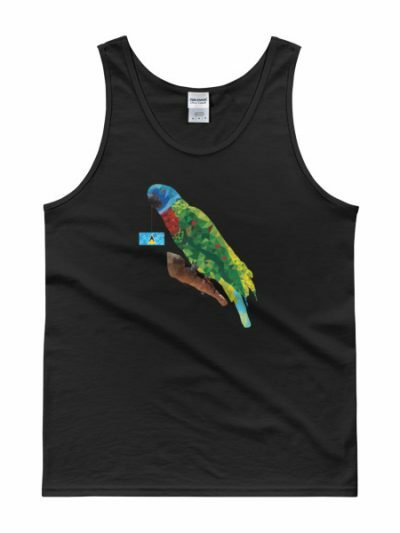 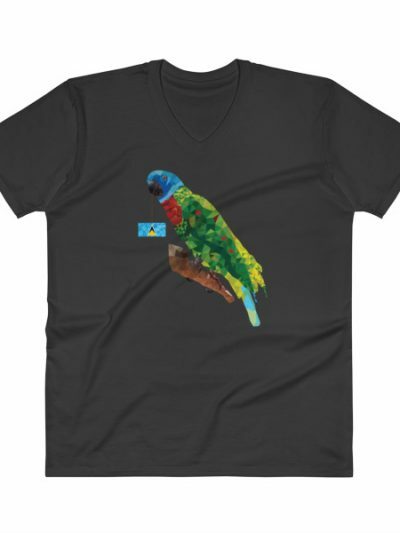 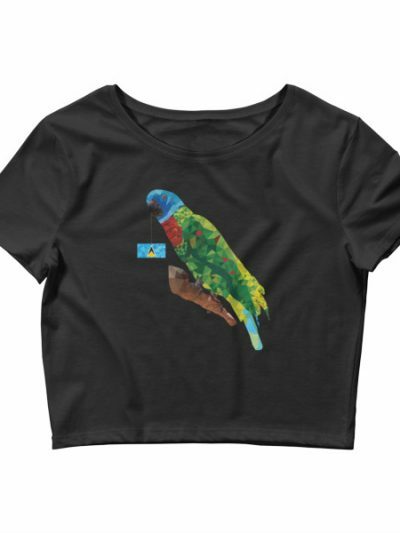 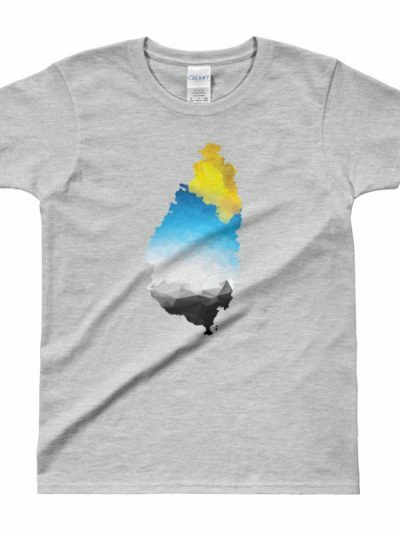 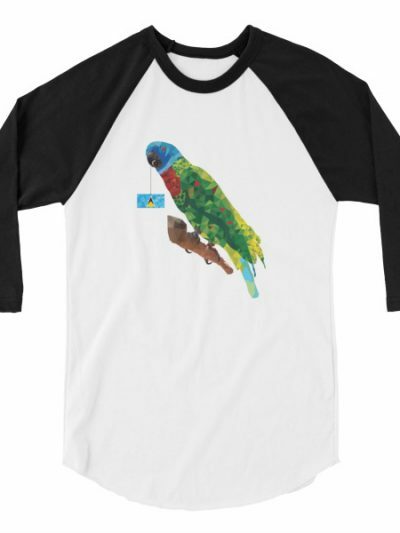 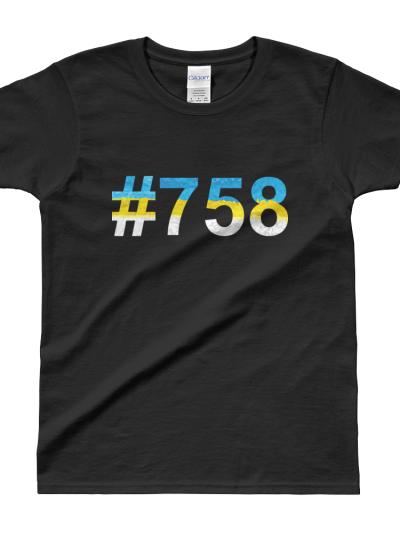 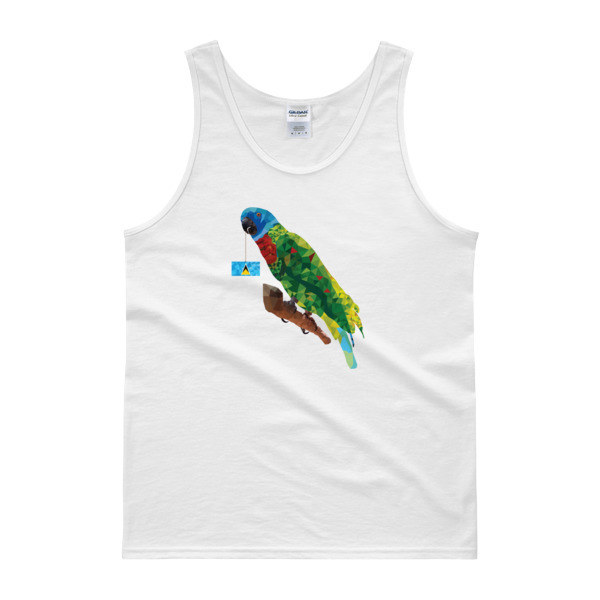 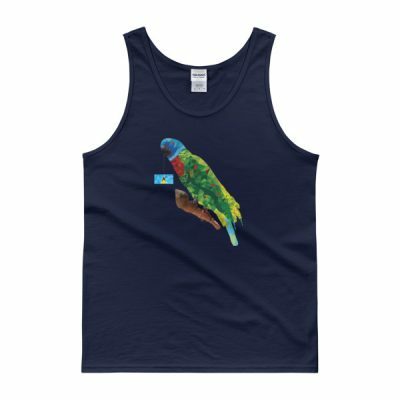 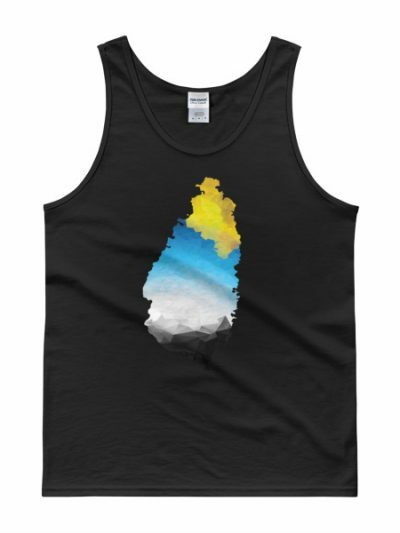 Printed with the St. Lucian Parrot this tank can be worn to the beach, a run or as an undershirt by both men and women.